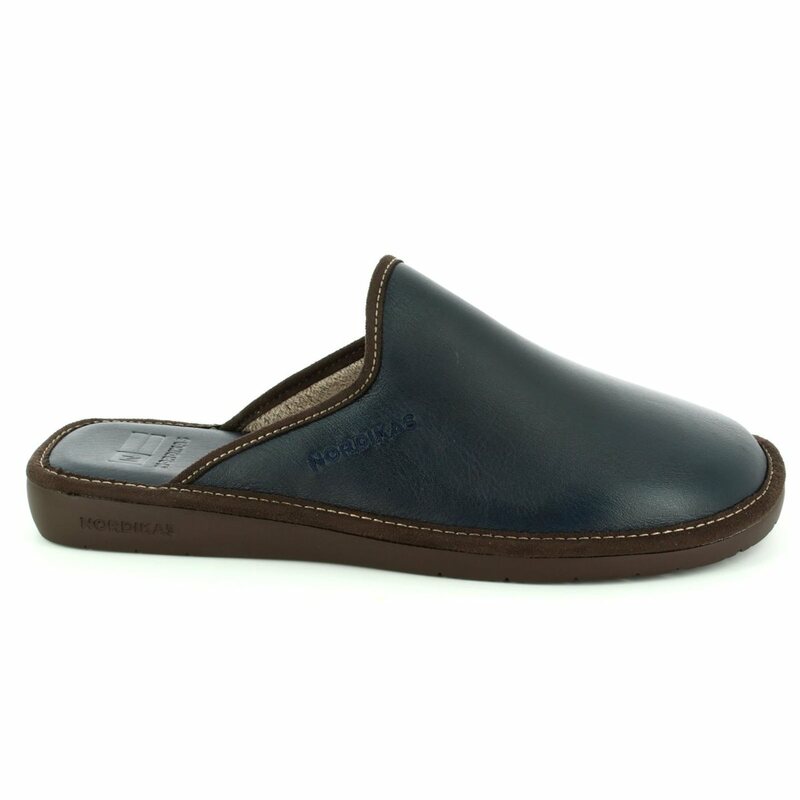 Nordikas 131-76 MELEAMU 42 men's navy leather slippers are the embodiment of luxurious comfort. 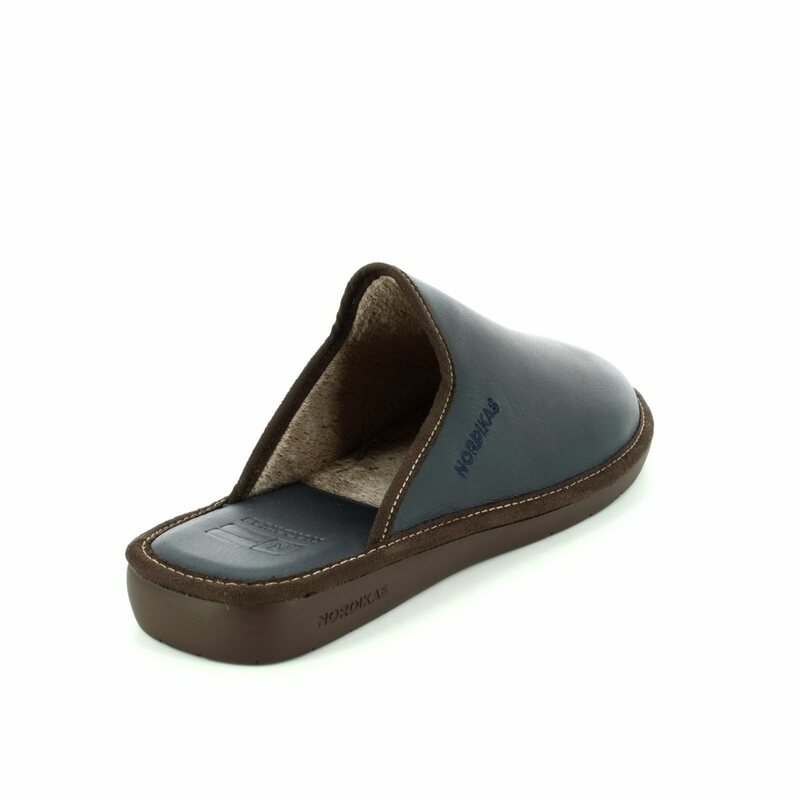 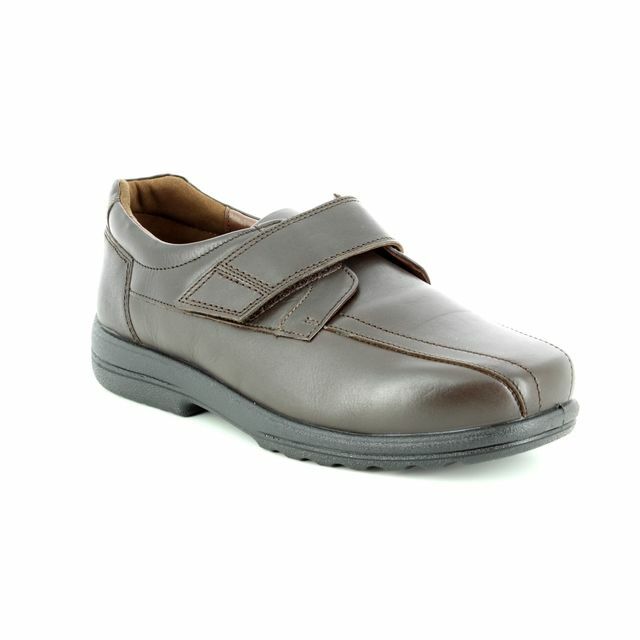 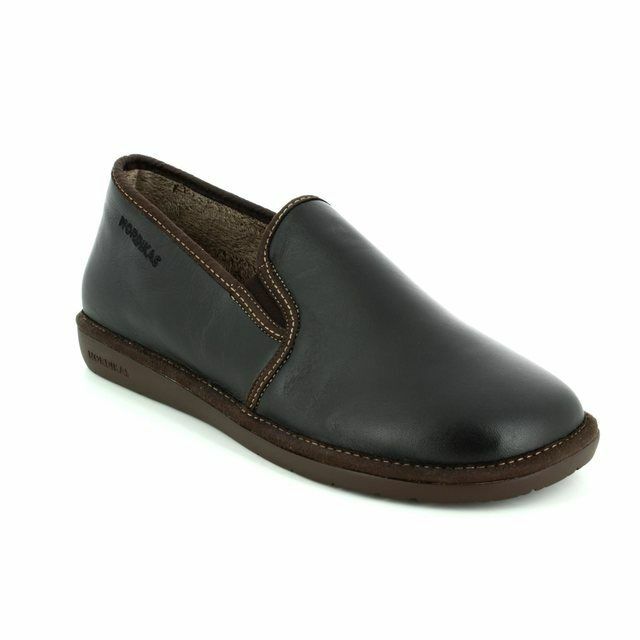 The soft leather uppers are breathable and mouldable to your foot while the antimicrobial microfleece lining keeps toes cosy warm and feeling fresh. 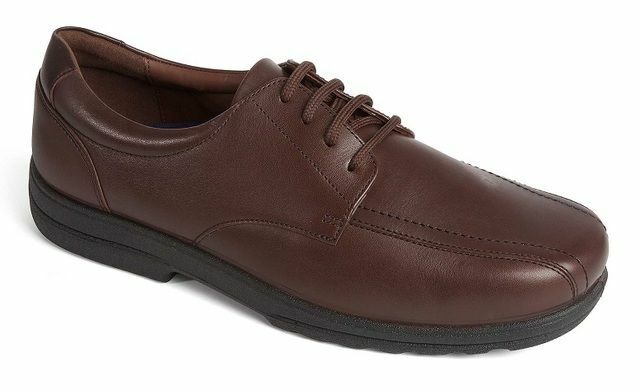 Crafted in Spain, the upper is made from a single piece of leather to keep the look classically simple and the fit unmarred by the discomfort of internal stitching. The flexible sole features Nordikas' Nordishock System and a hexagonal tread making them an ideal footwear option as you potter inside or to complete outdoor errands. 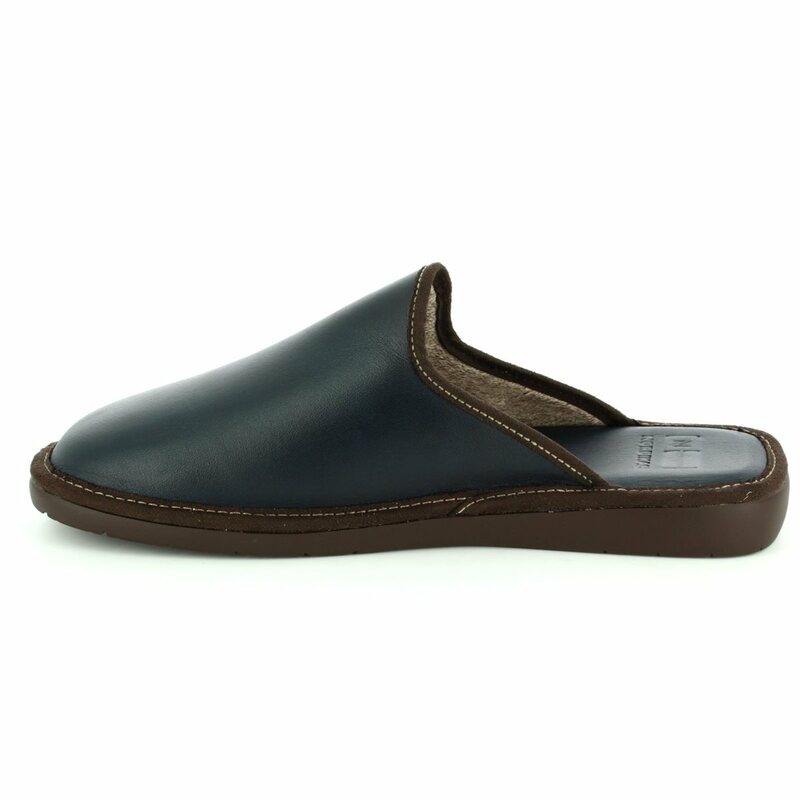 Also available in black leather (131-30). 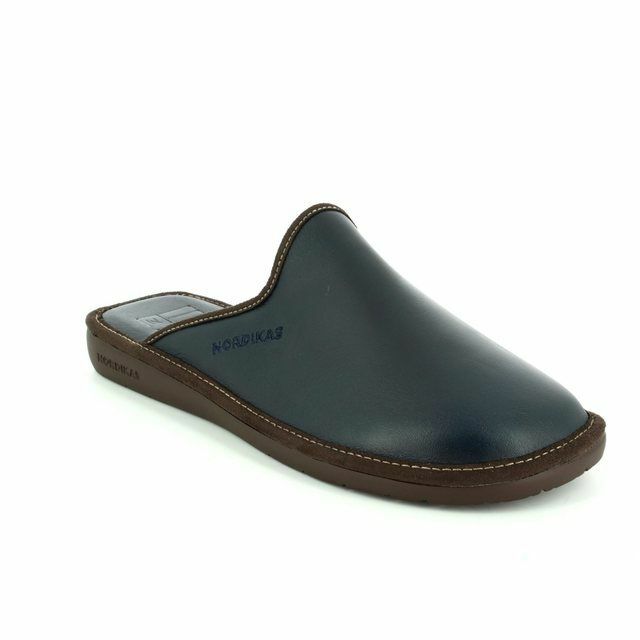 Visit us in-store or online today to see the full collection of Nordikas footwear available at Begg Shoes, an official Nordikas stockist.